Late summer storm crosses over the Kenai Mountains from Whittier to Portage Lake. 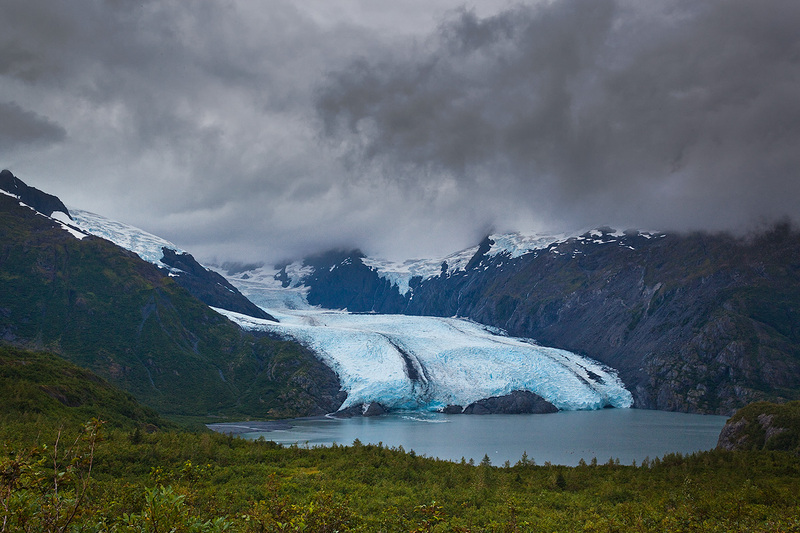 Portage Glacier was once one of Alaska's most easily viewed glaciers. Rapid recession of the mile-wide and 1000-feet high terminus has left this large lake in its wake.